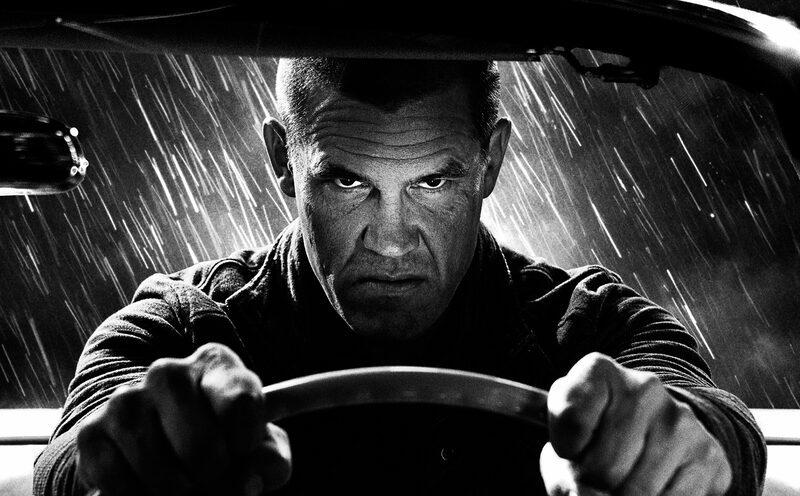 What to say about Sin City: A Dame to Kill For? If you saw the first Sin City, you have some idea of what you’re signing up for when you walk into the theater. Sin City, both the old one and the new, is a bit of an odd duck a film with undeniably unique style that nonetheless feels a bit uneven in places. The (mostly) black and white visuals, stylized action rife with gritty violence, and asynchronous storytelling all take some getting used to, and that’s part of what made the first Sin City so interesting. 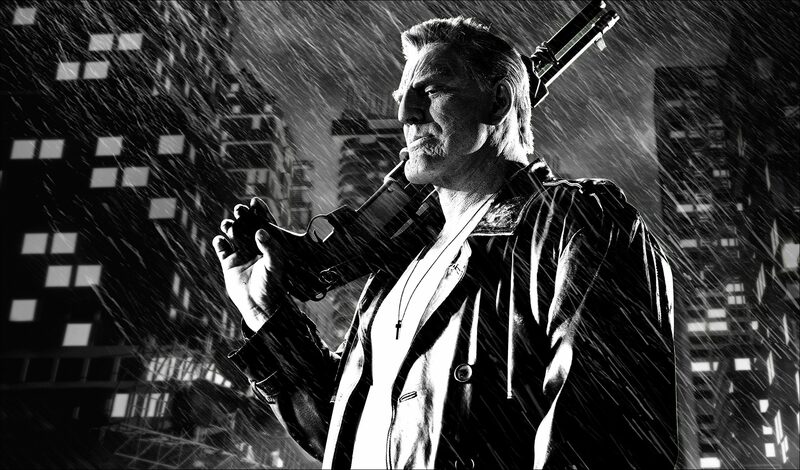 But Sin City: A Dame to Kill For is not the equal of its predecessor, and a lot of it has to do with the fact that those stylistic elements which made it unique aren’t fresh anymore. 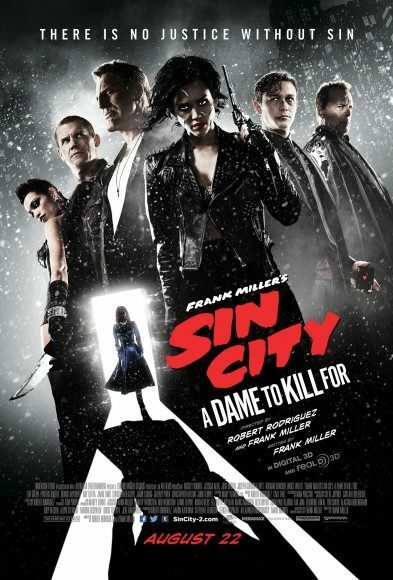 A year after Sin City, 300 put most of the same tricks on display again in another Frank Miller graphic novel adaptation, and Zack Snyder’s made most of his career since plying similar ideas in Watchmen, Sucker Punch, and even to a certain extent Man of Steel. Robert Rodriguez and Quentin Tarantino, the other two thirds of the Sin City triumvirate (along with Miller) made Grindhouse, and Rodriguez followed it up with a pair of Machete pictures. And, while we’re on the subject, let’s not pretend that Sin City didn’t owe a lot structurally to another Tarantino work in Pulp Fiction. None of this is to say that the ideas behind Sin City are dead, only that they’re not borderline revelatory as they might have been the first time around. The other thing hurting this sequel stylistically is that it’s just not as strong as the first. This is a movie that feels like it’s trying to mimic the first Sin City, not iterating upon it. Maybe it’s because I’ve seen the first Sin City recently, but A Dame to Kill For seemed to be recycling tricks like the way cars slide around turns because that’s how cars are supposed to move in a Sin City movie, not because it made sense in this Sin City movie. Perhaps more damningly, there seemed to be less care in lighting each scene in this movie. 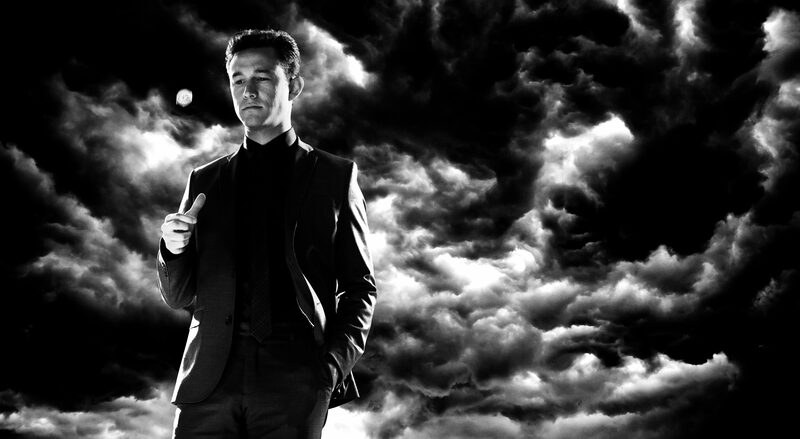 Sin City was striking not because it was in black and white, but because it leaned into that aesthetic hard. Much like the dichotomy of good and evil the movie was drawing in its characters and narratives, things in the first movie were either black or white, and very rarely did anything show multiple shades of grey. The movie worked hard to mimic the inked look of a graphic novel, and it used harsh, but sparsely placed lighting to pull it off. The biggest violator when it comes to the “ripped from the pages” look, however, is one plenty of audiences will never see. I don’t know when it was decided that it would be a good idea for A Dame to Kill For to appear in 3D, but it was a categorically awful choice. Just think about it. If you want your cinematography to replicate the flat look (not a judgment of the style, just a description of the dynamic) of a graphic novel, particularly one that depends on the close interplay between the extremes of black an white, why oh why would you ever want to introduce something that will make your movie appear to have more depth and, necessarily, color gradation? In 3D, the film looked like a collection of dioramas, each boxed by the edges of the screen, rather than panels following one after another. At this point you may be asking yourself how I’ve made it nearly 700 words into this review without mentioning anything of the story or the many high-profile cast members. Well, like Sin City, A Dame to Kill For is made up of a series of loosely connected plotlines, although they do feel a bit more to a single point this time. Rodriguez and Tarantino must’ve heard that the section from the first film that featured the hulking Marv (Mickey Rourke) was a favorite from the first film, because he’s there at nearly every turn in A Dame to Kill For doing his headcracking thing again. And that’s fun enough, I suppose, but it’s missing most of the knight-errant heart that came from his vengeful quest in the first film. Taking center stage this time instead of the Nancy (Jessica Alba)/Hartigan (Bruce Willis) drama is intrigue between a private eye doing his best to stay on the straight and narrow and a manipulative she-devil. Josh Brolin plays Dwight (the former) with aplomb, doing his best to make us all wonder why The Dark Knight Returns isn’t the next Batman/Superman movie, and why he wasn’t cast as Batman in it. Joseph Gordon Levitt is good as a cocky card shark in another plotline, but Brolin takes Rourke’s place as the man of the hour for this film. Opposing him is the aforementioned succubus, Ava, played mostly nakedly by Eva Green. Ava and Dwight used to be lovers, and the plot revolves around him trying to resist her negative influence while she begs for his help in overthrowing her rich husband. Other familiar faces appear again as well. Rosario Dawson is back briefly as Gail, Jessica Alba gets some extra screentime and Willis still shows up in what’s little more than a cameo. With the death of Michael Clarke Duncan, Dennis Haysbert has taken over as Manute, and we get to see how he got that golden eye. Finally, Powers Boothe returns as Senator Roark, who along with Ava is the films main antagonist. I’m running out of space, but the other thing that has to be mentioned is that, just as it falls a bit short of the standard set by its precursor stylistically, A Dame to Kill For lacks narrative punch. One of the reasons I loved Marv’s storyline in the first film was that it was so unflinchingly brutal in spite of the fact that it was also kind of noble. To return to the metaphor of the film’s color palette itself, Marv’s quest entailed the wholly virtuous and the wholly sinful side by side with one another. He might have been motivated by something so simple as a whore’s death, but she was kind to him and in his brand of ethics, that counted. So he was going to do right by her. Dame is missing that sort of personal motivation in the stories it tells. Right and wrong become more mixed. And, paradoxically, the presence of more partially virtuous characters – Levitt’s Johnny, Alba’s Nancy, and Brolin’s Dwight, not to mention a policeman played by Jeremy Piven, are all seem to be concerned to some degree about making the world a better place. That’s an attitude that never quite jives with the aesthetics of the film. 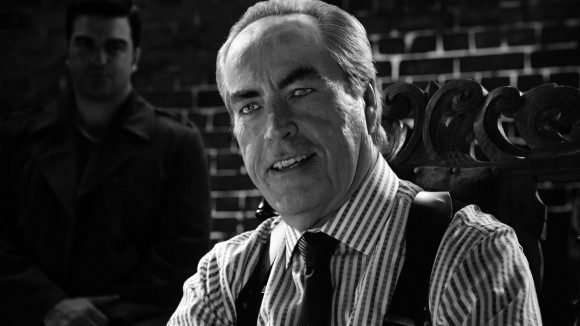 Sin City: A Dame to Kill For is missing a lot of the stylistic punch that made the first film successful. Not only does it suffer from fatigue now that others have made relatively common what once was only its own, but this new Sin City just isn’t as sharp as the first one was in this regard. Without even getting into the travesty of the 3D in this movie, the visuals, which ought to be one of the main draws, aren’t as sharp as they ought to be. Add that to a narrative that’s watchable, but not as compelling as that of the first movie, and you’ve got a passable movie, but one that’s not going to rope in anyone who didn’t enjoy the first film.